Travel to me is a never ending experience; it’s a personal journey that embarks an experience of new perspective, new realizations and new learning in different places. If you’re anything like I am, you enjoy listening to some music when you take a ride of any distance, so a list of the best songs for a road trip is essential. What kind of songs does meet those criteria? Something it takes with an edge and some Songs with a context and the proper beat. While you’re riding, you need music that drives you on and gets your heart pumping. My playlist needs to create a rebellious and thundering mood to get me in tune with the music and the machine, so with that in mind, I would love to create a playlist perfect for their fusion with a long ride. But it’s a common problem, that there are so many good songs out there that it’s often difficult to winnow them down to a manageable list, at least a list short enough to fit on your MP3 player. The following mix tape is for all you motorcycle riders out there. I tried to gather some songs that speak to the emotions one feels traveling long distances on the road. Check some of my favorite Road trip song which I would always like to play on my go. "Soak Up the Sun" is a very populartitle song recorded by American artist Sheryl Crow. This song got released in March 2002. The song, has great feature with backing vocals by Liz Phair, peaked at number-one on the Billboard Adult Top 40 chart and hit number 5 on the Hot Adult Contemporary Tracks chart and #17 on the Hot 100 chart and It was covered by the Kidz Bop Kids in 2003. "Take It Easy" is the title song written by Jackson Browne and Glenn Frey, and most famously recorded by the Eagles (with Frey singing lead vocals) and released on May 1, 1972. It peaked at #12 on the July 22, 1972 Billboard Hot 100 chart, spending 11 weeks on the chart that summer. According to Glenn Frey, the message of this song is, "You shouldn't get too big too fast." "A Thousand Miles", is an originally titled "Interlude", by American singer Vanessa Carlton and recorded for her 2002 debut album Be Not Nobody. It was co-produced and co-arranged by Carlton and Ron Fair, and was released as the album's first single in 2002. Her signature song, it became Carlton's breakthrough hit and one of the most popular songs of the year. To date, it remains Carlton's biggest hit in the United States, and her only single to reach the top ten of the Billboard Hot 100. This describes the feelings of anyone who has lost someone they really loved. Carlton sings about how she would do anything to be with that person, or even to just to see them. It is about a person who is in an untouchable world because of the pain they have from their loss. "Eye of the Tiger" is a song by American rock band Survivor. It was released in May 1982 as a single from their third album Eye of the Tiger. It was written at the request of actor Sylvester Stallone, who was unable to get permission for Queen's "Another One Bites the Dust". The song was to be the theme song for the movie Rocky III, in which Stallone was playing the main role. The movie version of the song is different from the album version because it features tiger growls. It gained tremendous MTV and radio airplay and topped charts worldwide in 1982. It is memorable for its guitar riff and anthem chorus. It was certified platinum in August 1982 by the RIAA, signifying sales of 2 million vinyl copies, and the song has sold 3 million in digital downloads by March 2012. It was voted VH1's 63rd greatest hard rock song. "Born to Be Wild" is a rock song written by Mars Bonfire. It is often used in popular culture to denote a biker appearance or attitude. It is sometimes described as the first heavy metal song, and the second verse lyric "heavy metal thunder" marks the first use of this term in rock music. The soundtrack to the 2006 film Rang De Basanti was released by Sony BMG on 8 December 2005 and had its music composed by A. R. Rahman and lyrics in Hindi and English by Prasoon Joshi and rapper Blaaze. The title track was used at a flash mob at Chhatrapati Shivaji Terminus in Mumbai on November 27, 2011 in honor of those who died in the 26/11 attack. The artist of this song was Naresh Iyer, Mohammed Aslam, Blaaze. Shaan sang, composed the music and wrote the lyrics of his songs for his super hit albums Tanha Dil. This song is one of the most all time favorite song for many people.In 2000 he won the MTV Asia Music Award for best solo album for his album Tanha Dil. A beautiful Light-hearted travelling song starring Sharuck Khan, from the moview Swades. The song was directed by great musisian A.R. Rahman, and lyrics by Javed Aktar and was sung by Udit Narayan, Hariharan and Kailash Kher. The title track "Lakshya" is a techno-flavored patriotic song by Shankar, which is followed by "Kandhon Se Milte", another patriotic song with the vocals of Kunal Ganjawala and Vijay Prakash. "Kitni Baatein", a pathos song, is crooned by Hariharan and Sadhana Sargam. There are two instrumentals, "Victory" and "Separation". The trumpet portion from "Victory" has been used as the background music for their logo by Excel. Even though road trips are normally thought of as summer adventures, there's something to be said for a fall getaway, highway style. The air is crisp, the breeze is brisk, and weekend-excursion options abound. Of course, no escape would be complete without a perfect playlist — every long or even short drive begs for you to turn up the bass and get your head bobbin, and definitely think that you all will like my collection of Song, which will rock you while your next road trip as even while creating this post my heart was pumping yours will also. Nice post! Thanks for sharing the post.. Get the Best Online Bus Ticket Reservation Services in all over India in one step with Ticketgoose. Kallada Travels of Bus Tickets through www.ticketgoose.com with simple money transaction procedures. Can also select seats, Book return Tickets and also cancel Tickets Online.Log on today and enjoy the benefits of the attractive discounts on offer. Thanks for sharing this valuable information...just picked good songs for my trip. This might be helpful to you.. Thanks for following, am also now following you. Thanks for joining the link up! New follower! Thanks for following me also. Hi Evelyn, Thanks for following me back. hi! you have a very interesting and entertaining blog. love what I'm reading. I love to travel too but mostly around my country, Philippines. But it's my dream to travel the world. looking forward to reading more. i am your new follower via gfc blog hop. hope you could visit my blog! have a nice day! Wow, what great song choices. Some of my favs on your list. A new follower via GFC and the Meet and Greet Blog Hop. Thanks for participating and dropping by my blog as well. Added you on g+ as well. Thanks for following me back. Have a nice day. Thanks for visiting my blog. Am your new follower via GFC. Those are some great songs! Thanks for stopping by my blog from the Meet and Greet hop. Thanks for following me back Have a nice day! Hi! Returning your follow from the blog hop! What a great blog you have here. Are you on Twitter, FB, and Pinterest? Let's connect there as well. It's always so nice to meet new bloggers and build up each other's numbers :) Here is our info. Leave us a message on each so we know where to follow back. If you follow on FB, could you please follow under your personal account (FB doesn't count followers from 'Pages'). Looking forward to getting to know you! Thanks for following me back. Am now following you via twitter & pintrest aswell. Thanks snd have a great day! Awesome songs!!! Soak up the Sun and Born to be Wild...Definitely! The whole list is great for road trips, though. Awesome post. New GFC follower, following back from Meet & Greet. Thanks for linking up with us and hope to see you again this weekend for more hoppin' fun! Thanks for stopping my blog. I have started following you hope you will also do the same. Thank you so much dear. Have a great Weekend. Hey, Thanks for stopping by my blog today. Im now following you back! Thanks for the return. Have a nice Weekend. Hello from your newest follower, over from the GFC blog hop. My favorite song would have have to be The Eagles - Take it easy! Thanks for following me, and i have also started following you back. Great post, my all time favourite road trip music is Bruce Springsteen's Born in the USA, always made me feel happy to be alive with that blasting on the stereo and driving down the highway. I don't drive now though, I only drove because I had to when living in Texas, now I'm back home in England public transport is so good I don't need a car. I came by via the GFC blog and now follow you on GFC, hope you can check out my blog too and maybe follow back if you like what you see. Thanks for Following me, am also following back. Its really a great pleasure meeting great bloggers like you. Have a nice Day. I host the Thumping Thursdays Blog Hop, I would love to see you then! Thanks for following me back, i would really love to join your Thumping Thursday Blog Hop, Have a nice day. The Eagles are always classy..love! Now following back from the GFC hop! Thanks for joining in! Thank You so much for following me back. I kept this list for my next road trip. I like that you included the videos. I am a visual person so that caters straight to me. Thank you. I appreciate you linking up with us on the Thumping Thursdays Blog Hop and leaving a comment about joining my blog's community. I am following you back and based on this list, I'm sure it will be an entertaining journey. Thanks for following me back, its really pleasure meeting new bloggers like you. Wish you a happy Weekend. A great article indeed and a very detailed, realistic and superb analysis. Everybody like to listen music at the time of riding bike or any other vehicle. I also like the same. Thank for sharing this type lovely blog with us. hey. thanks for following. hope you'll read the recent post since you're a guy and give your honest straight forward in your face advice LOl. Definetly will read and comment. Thanks for stopping by my blog too. Its really a great pleasure meeting new bloggers like you. Have a nice day. Hi, thanks for following my blog. I'm follow you too now from the Saturday Bloggy Take-Away! Thanks for the return, its really a pleasure meeting great bloggers like you, Have a nice day. Thanks for sharing your playlist. l like a lot of these songs. Now that I have this reminder, I know what to load into my iPad! Thanks for stopping by my blog. Have a nice day. I am returning the follow. Have a great weekend. Thanks for the return and Same to you. Thanks for sharing your song list. There are more numbers of songs but i have listed only some selected. Thanks for stopping by my blog, have great day. You had made an awesome blog and hop, its really great pleasure meeting awesome bloggers like you. Thanks for linking up with us ladies at the "Linkin with my ladies" hop! We're always glad to have the gents link with us. What an incredibly fascinating blog you have here. I have only read a few posts but I'm already sucked in. Can't wait to read more! Following you on Twitter, Google+ and Linky friends. Hope you can join us again next week too! I really thanks alot dear, am feeling amazing at this moment to meet such a nice bloggers around the world. I will for sure meet you guys every week. Have a great day. Thanks for your return, it really a great pleasure meeting such a great bloggers like you. What a fun list of music. A few were new, but many old favorites. I went to Uni with Sheryl Crow - a slight exaggeration, I went at the same time and saw her band play at a frat party I attended. Thanks for stopping by my blog. Nice to meet you from Paula's weekend bloghop. Thanks for your return, looking forward to your upcoming post, Have a nice day. Great playlist for travel. The only playlist I have is for my workouts. I need to create some for road trips too! Thanks for following me back. Have a great day. HI! thank you so much for the follow!! I followed you as well! great blog! Thanks dear for following me back, its really great to meet new awesome bloggers like you around the world, have a great day. Wow your blog and is wonderful, congratulations and kisses from Spain. follow me and I will follow back? Thanks for you lovely comment, it would be my pleasure to follow you. i would like to return a Kiss from India LOL. Have a nice day. Thanks for the return, have a wonderful day. wilson, thank you for following Carole's Chatter. I have followed you right back. Have a good week. Thanks for the return, and same to you dear. Wilson, thank you for following NPMom. I am following you back and enjoying your road trip songs! Thanks for following me 2, Have a wonderful week ahead. Hi, I'm your new follower, would you follow back? Love to follow you dear. Thanks for following my blog! I'm now a follower of you. I love all those songs! Perfect to dance to in the car. I'm notorious for dancing while driving. :) Have a good week! You are really funny, its been a pleasure meet such a person who dances while driving, Wishing you some great awesome drive ahead. hello! i love the songs that you blog! i am now following you. i hope you can follow mw back! Thanks for following me, i checked your blog, but there is no option for following you, so am not able to follow you back. Thanks for the return, Have a good Day. Thanks for following me, it will be my pleasure to following you. Have a great week. Awe!! I travel blog! Love it!! 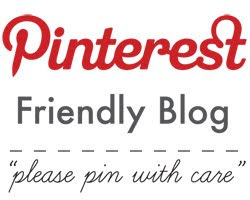 I'm following you back from The Harvest of Friends Blog Hop. Looking forward to follow you. I love traveling. Good songs :) Some of them are already my favorites and some I have never heard before. Thanks for your compliment and following me back. I'm a new follower so I thought I'd say hi. I love all your song suggestions; thanks for sharing! Thanks for following me back, Have a wonderful day. I haven't heard that Vanessa Carlton song for so long! That was my song back in the day! Thanks for bringing back some memories! New follower stopping by from the GFC blog hop! Thanks for checking out my blog, following back! Looks like you have a great blog! I love most of these songs! These are just some of the selected songs, there are lots of many incredible songs which will hype your nerve while riding. Really thanks for following me back. Have a nice day. I'm not a motorcycle rider, but I do love a good road trip with great music to go along with it. Thanks for sharing your list and thanks for stopping by today. Thanks for following me back, Have a nice day. Thanks for your awesome comment, and love to see your new post also. Have a nice day. Thanks for following me back Amitji. I love to music. I used to listen new songs and old too, if i want to plan for a trip, first thing i will do is collect the list of songs that i ever listened, when i was alone also my best friend is like music, nothing more than that. Online Bus Booking is just a click Away! You have an awesome travel blog. Keep travelling! Thanks for your valuable comments, your blog pics are amazing. 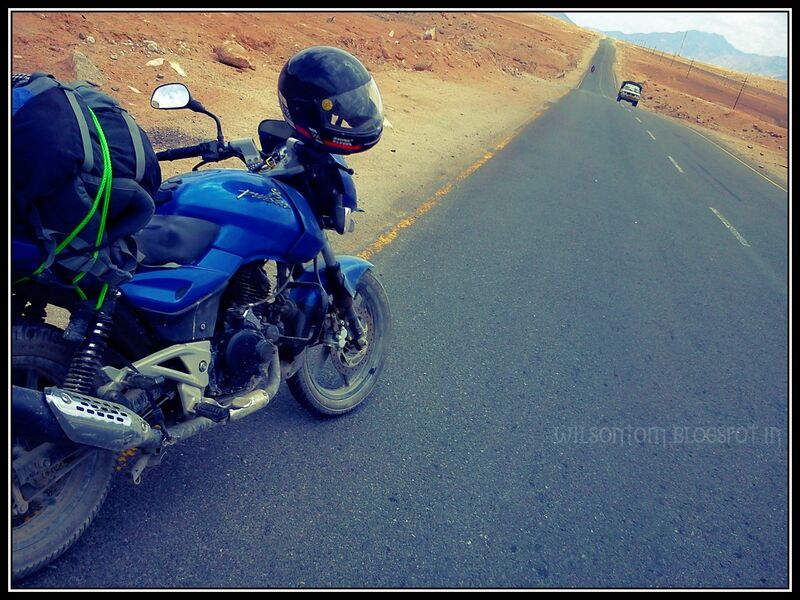 Born to Be Wild is a must on any journey! That would definitely be on my list! You have a great blog and I'm looking forward to reading more of your posts! Thanks for following me back, its really great to meet new bloggers like you. Have a nice weekend. My husband and I LOVE traveling! Thank you very much for returning the follow. Awesome playlist! Thanks for commenting at my Diana Rambles blog. I am a new follower! Thanks for following me back, Have a weekend. Thanks for stopping by my blog,i have started following you, Have a wonderful weekend. I think Born to be Wild is on a lot of people's playlist, Wilson. Although, you're forgetting Bon Jovi's "You Give Love a Bad Name." Ha! Thanks for joining our blog hop this week! Really, i Know, i have lot more songs but i have only posted selected 10. Thanks for your suggestion, Have a nice day. I agree great tunes are essential for a road trip. Great post. Thanks for stopping by my blog! I LOVE good road trip tunes. I'm a new follower. Have a great weekend! Amazing list! "A Thousand Miles" is one my all-time favorite road trip guilty pleasures. Have a fabulous weekend! Thanks, and same to u dear. I like the Kinks: This Time Tomorrow as a sort of wistful, heartfelt traveling song. Maybe not for a sort of rebel on the open road feeling, but a traveling into the unknown and leaving an old life behind situation. What a fun post...nothing like a good road song even for just a quick drive. Thanks for stopping by P.P.TW and becoming a new follower. FOllowing back. Have a great weekend. I'll have to listen to some of the last ones! Last five are basically in Hindi, of Bollywood movies and all are really heart pumping great songs. Hi, just came across your blog. Hiya! Hopping over from The Grief Chronicles! Thanks for the follow, followed you back! Cute blog! We have a motorcycle too! Adorable idea! Thanks for the return, Have a nice day. Hi WIlson Tom! THanks for popping by "Mama Leisha" and for following. I'm returning the follow! Have a good week! Wonderful blog! Thanks so much for following & commenting on Saved by Grace -- I'm following you back! Ty for visiting and following my blog. I appreciate your kind comment. I'm following you blog now too. I like your trip music choices. Thanks you for following me back. Thanks for following me back, and same to you. Thanks for commenting and following! Following back. Thanks for your lovely return, have a wonderful day. Love your blog and thanks for the follow. Looking forward to seeing where your journey takes you next! Thanks for the reply and following me, Have great day!!! Nothing better than traveling and good music. Great combo! Thanks for the follow. Following back. Thank you for the return. Have a nice Day. Surely one of the best collections of road trip songs. The combination of Bollywood and international music will appeal to people looking for options to make their trips more enjoyable. Thanks for following and posting your comment, am a new follower of yours also. I definitely can't take a road trip Without some good music! Holidays in India- Are you looking for holiday in India? Go Holiday India best offers holidays to India, India holidays,india Tour Packages and famous Tour and Travel Delhi, Agra, Jaipur,Rajasthan. I ride a pretty noisy, buzzy, 2-stroke a lot of the time, and my MP3 players just can't compete. Never mind. I usually chat with my wife instead. “Take It Easy” is indeed a good road song - “Don't let the sound of your own wheels drive you crazy”..... - I would add “Peaceful Easy Feelin” by the Eagles as the best chill-out song of all time too. Thanks for stopping by Ms. Morgan's Reality Check earlier. I love these Road Trip Songs! Eye of the Tiger works for so many situations! Tour Packages and famous Tour and Travel Delhi, Agra, Jaipur,Rajasthan. Himachal India Tour, A Division of Creative India Journey Offers Good Travel Deal For Shimla Tour, Shimla Package, Shimla Trip, Shimla Tour Packages, Shimla Kullu Manali Dharamshala McLeodganj Dalhousie Tour Package India (09 Nights / 10 Days), Enjoy Luxury Himachal Tour Package India, Himachal Tour Package. Himachal Trip, Himachal Holidays, Himachal Vacation. Wonderful collection of songs! thanks for sharing best road trip songs. really, i know, these song are amazing because some in these are my favorite songs. Nice blog and information. Thank you for sharing this. Himachal Tourism is the best place for tourism in India. It means your tour was awesome. You enjoyed a lot. Book Golden Triangle Tour Providing Information About Delhi Agra Trip With Competative Rates. I have visited various destinations, but whenever i read your blog, my senses are left spell bound for a minute and i'm forced to go weave the imaginative cob webs in my mind. 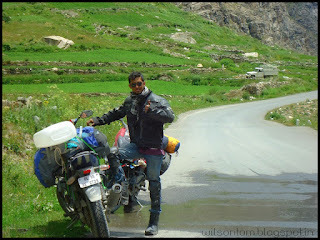 I liked your blog and would like you to explore more on Cheap and Best Tour Packages in India.